Ale-Wives An “ale-wife” or “brewster” is a designation from the Anglo-Saxon period in England, between the 5th century CE and the Norman Conquest, when it was the responsibility of the woman of the house to make sure the men were well supplied with beer. Domestic brewing grew apace following the Norman invasion of England. In the homes of the nobility, ale-wives were employed to supply families with beer. In 1512 the Northumberland Household Book showed that the aristocratic Percy family consumed for breakfast a quart of ale [two pints] each “for my lord and lady,” a similar amount for “my lady’s gentlewomen,” and two and a half gallons for the gentlemen of the chapel and children. The hapless woman is carried off by demons and flung back into the mouth of Hell, still holding her short-measure pot. A 15th-century carving of an alewife being thrown into Hell can be seen in the St. Laurence church in Ludlow, England. 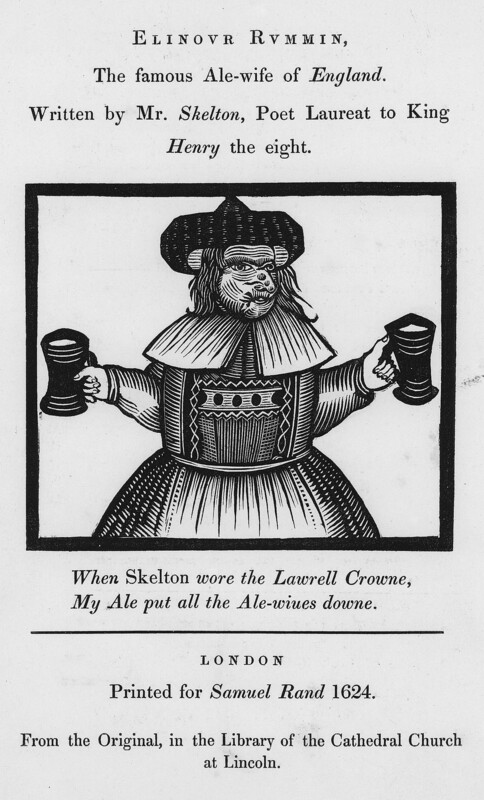 Some ale-wives, however, enjoyed good reputations. In the 16th century in England, a brewster named Elynoure Rummynge was said to have a “hideous visage” but her “noppy ale” was declared to be superb. The growing craft brewing movement allows a number of women to have some fun with the tradition of the ale-wife or brewster. In Lincoln in England, Sara Barton calls her brewery Brewster’s and her beer range includes Wicked Women and Belly Dancer. See also women in brewing. Corran, H. S.A history of brewing. London: David & Charles PLC, 1975. Protz, Roger. Great British beer book. London: Impact Books, 1997. Get the best brewing tips, techniques, and recipes in your inbox.